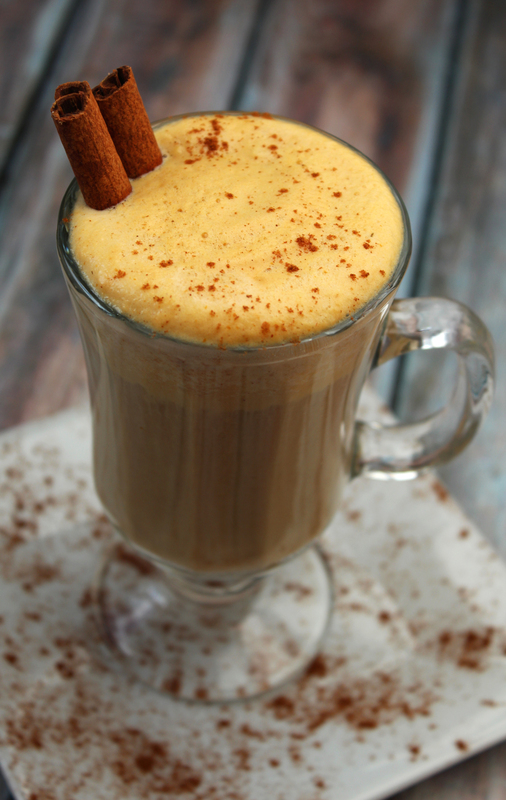 Fall time means pretty leaves, football, cool evenings, and for the past 4-5 years of my life – Pumpkin Spiced Lattes. It seems that every year, Starbucks hatches a new “PSL” marketing campaign that makes you want one…really badly. 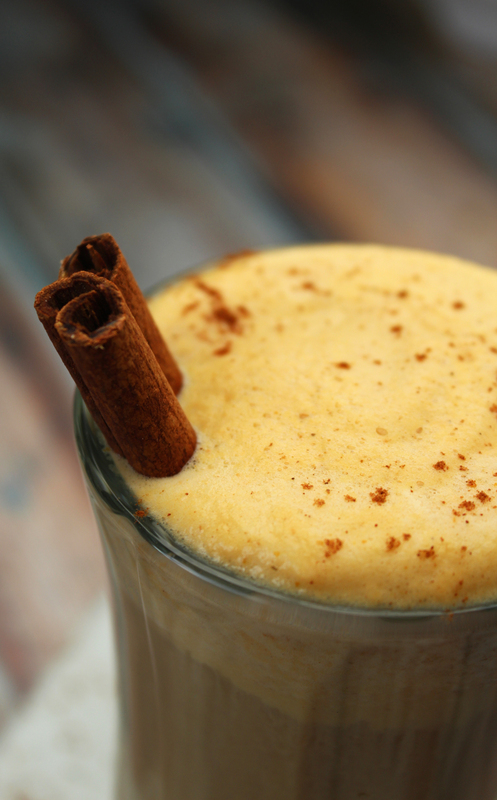 There’s no arguing that those warm pumpkin-inspired drinks taste amazing, but at what cost? If no one has clued you in on this yet, I’m sorry to be the bearer of bad news. Needless to say, I needed to get through PSL season in a healthier, and more financially-sound way. That’s why we will be making our own Pumpkin Spiced Lattes from now on! My husband was once a barista, which makes life lots of fun because he can whip up a coffee drink in no time! Last week, he surprised me with one of these bad boys as I was walking out the door to leave for work. I was taken back when I realized that it was homemade, and not from Starbucks. This means many things: free and healthy!! 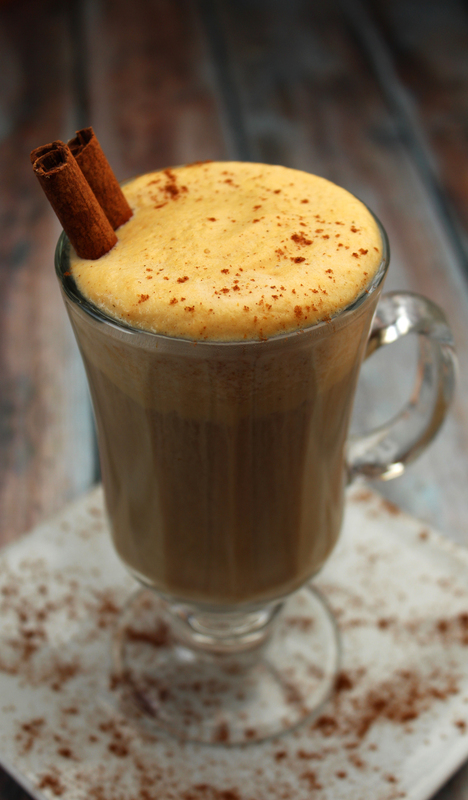 So, snuggle up this fall with some pumpkin scones, perhaps some pumpkin coffee cake and this delicious homemade, DIY pumpkin spice latte! 1. Make some coffee (on the stronger side)! 2. In a small saucepan, slowly heat up the milk, pumpkin puree, nutmeg, cloves, cinnamon, and sugar until the milk becomes frothy and sticks to the edges of the pan. 3. Once hot, transfer milk mixture to a blender or NutriBullet and blend/whip-up the milk even further for that perfect latte consistency. 4. Pour your coffee about halfway up your mug, then add in milk till full. 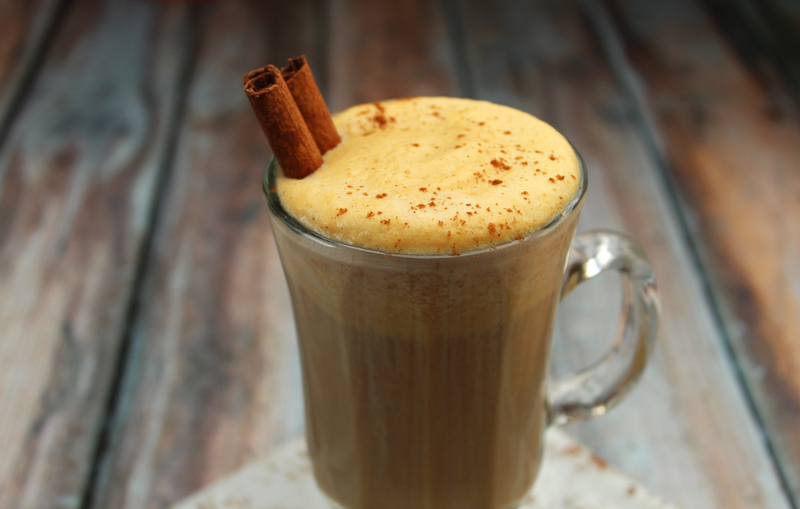 Top with cinnamon! This recipe sounds amazing, definitely going to try it! Just a side note…the Nutrabullet manual specifically says not to blend hot liquids. You run the risk if pressure building up and the hot liquids exploding. A regular blender has vents so that this does not happen. Just do you know! Great blog by the way! I meant a to say “just so you know”. I was wondering,is the coffee instant and can I use Decaf instead? Hi there again, I have another question for you. would I be able to use a hand held frother instead of the magic bullet? Absolutely!! 🙂 Those work well, I wish I had one!